Choices range from a few weeks in the summer to an entire year. Most students choose the semester option but for many this choice is based strictly on economics. Studying abroad is not cheap. Since sports scholarships, work-study programs, internships, etc. don’t usually apply abroad your tuition and expenses usually come from your own pocket. You have to decide if the experience is worth the expense. For most people, the answer is yes since they will never have the opportunity to live abroad again. You can help mitigate the cost by choosing an affordable school that values studying abroad and provides a program at a reasonable cost. The simplest way to study abroad is through a program offered by your college or university. These programs are taught by professors from your school, the credits transfer right over and you can usually register without much fuss. Most of these programs are located in major European cities. However, smaller schools don’t usually have that option and it might not be in a country you wish to live in even if it is offered. If that is the case, then you have to look into other study abroad programs in the areas you wish to reside in. But before you register for an outside program, you need to consult your college or university and make sure that the credits you earn will transfer back to your home school. If they won’t, then you need to keep looking until you find a program that will work with your home school. Your time and money is valuable and this experience needs to count towards your degree, otherwise it is just a vacation with lots of homework. Very few freshmen study abroad. They need to establish themselves at their home school before they venture off. Seniors don’t usually study abroad because they are wrapping up their credits, writing their thesis or completing internships. Therefore sophomore and junior year are generally the best time to study abroad. Some schools won’t accept transfer credits once you have earned more than 60 credit hours so you would need to go during your sophomore year. Some schools won’t allow you to go until you’ve completed all of your general studies so you can’t go until you are a junior or a senior. Since requirements and expectations vary by school it is a good idea to speak with your counselor early in your college career about the optimal time to go so that you can plan ahead. Clearly you should immerse yourself in the language and the atmosphere of the location you choose to study. For example, if you are in Costa Rica, speak Spanish, don’t surround yourself with English speakers and study biodiversity, the local culture and oceanography. If you are in Italy, immerse yourself in Italian, art history and medieval architecture. You want to take classes that you need to graduate so that you don’t fall behind but you also want to maximize the experience and work on your foreign language skills. You also want to get out and about as much as you can. Take weekend trips, visit local attractions and speak the local language as much as possible. Will This Experience Help You Get a Job After College? Study abroad experiences where you are educated in English, with American students, away from the surrounding community are unlikely to broaden your horizons. You want to seek experiences that immerse you in culture and language and help you to broaden your understanding of the world. This does not mean you need to take calculus in a language you barely speak, but it does mean that you need to look for a program that will provide you with real world experience. This time abroad will be one of the few items you have to put on your first resume. If you have decided to study abroad, know when you want to go and have ruled out a program through your home school, the choices can be overwhelming. There are thousands of programs all over the globe to choose from. A good place to start is Study Abroad 101. They provide information on over 1000 academic programs in 185 countries and 1037 cities. That many choices can be overwhelming so pick a place or a language and work from there. But don’t be afraid to keep your options open. Classes are taught in English just about everywhere so you don’t let the local language hold you back. The best part about the Study Abroad 101 website is they provide student reviews from people who have actually completed the programs. Those reviews can be worth their weight in gold. The last thing you want on your life changing adventure is sub-par food and filthy accommodations! Some programs are much better than others so read the reviews. If you can’t make up your mind about where to go because you want to go everywhere then consider a semester at sea. Moving from place to place might be just the thing for you. Sea Semester will sail you around the world using your current financial aid package and provide you with a semester of transfer credits from Boston University. Some of the voyages go as far as New Zealand and back. Learning to sail, fish, survive bad weather, work as a team and experience cultures around the globe is an added bonus! This experience would look great on a resume and help you hook your first job. If you want to take the road less traveled but boats aren’t your thing, than you might want to consider Ghana. The University of Study Abroad Consortium (USAC) offers a program at the University of Ghana with a 4.7 out of 5 student review rating on the Study Abroad 101 site. The university is home to 13 international study abroad programs so it has a true cosmopolitan feel but lies in the heart of Africa. The country is stable, slowly developing economically and environmentally diverse. It would be an excellent opportunity to experience life in a place very different from America with a rich cultural background. It would also be a rewarding academic experience. The course offerings are diverse and you can backpack around Africa when you finish your semester. Only 90 miles from Florida, Spanish speaking, but rarely considered for international study abroad programs until recently by Americans, is Cuba. Spanish Studies is currently running a very successful program there with a 4.7 out of 5 student review rating on Study Abroad 101 . 17 international study abroad programs are currently offering programs in the University of Havana which was founded in 1728, making it one of the oldest schools on the east coast. Students from around the world and the Caribbean ambiance give the campus a resort feeling. Flights to Cuba are inexpensive compared to other parts of the world and they are currently building a ferry terminal in Miami to connect Havana to Florida. When this is complete it will make it even more affordable to study abroad! If you really want to study abroad and the options are cost prohibitive no matter how you look at it, you might want to consider enrolling in a foreign university that offers free tuition to American students. Some universities even offer free graduate and medical school if you can find a way to pay your living expenses! Many American students choose to study in Germany. All of the undergraduate universities in Germany are free for all students, even Americans. Students can live in Berlin for around $10,000 a year. This is considerably cheaper than school in America for most students. There are similar opportunities in France and Norway and several other nations, many of them in English. If you can speak French, German, or a Scandinavian language the possibilities are endless. 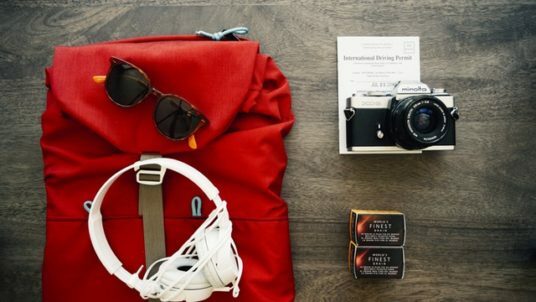 This can take studying abroad to a whole new level and potentially save you money. Many of the study abroad programs will accept your financial aid package towards your tuition. There are other ways to fund your travels, scholarships are available. There are scholarships available for low-income students, first generation college students and ethnically diverse students along with academic super stars. With all of the different programs, price points and financial opportunities there is a chance for every student to travel abroad, earn college credits and absorb what the world has to offer. Don’t let the cost deter you, if you want to go, you will find a way!